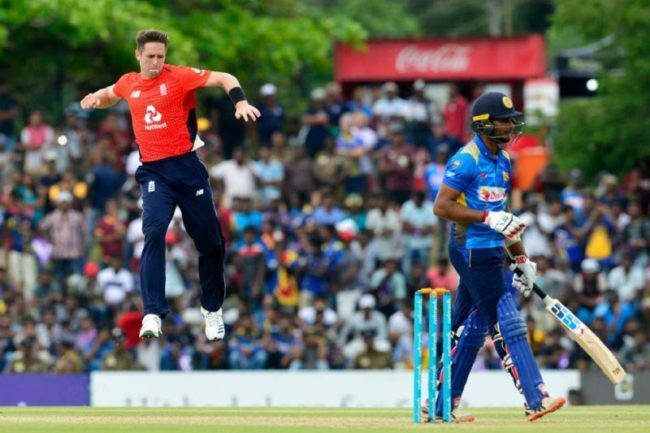 England beat Sri Lanka by 18 runs under the Duckworth/Lewis method in the rain-hit fourth one-day international on Saturday to take an insurmountable 3-0 series lead. Sri Lanka post-273-7 in 50 overs. England were 132-2 after 27 overs in reply when rain interrupted play.